Jayme has been working with his coach Dustin for the last 8 weeks and has made some great progress during that time. Jayme, like many others, was inspired by box owners Joe and Alison Thiede, to do something about his nutrition. 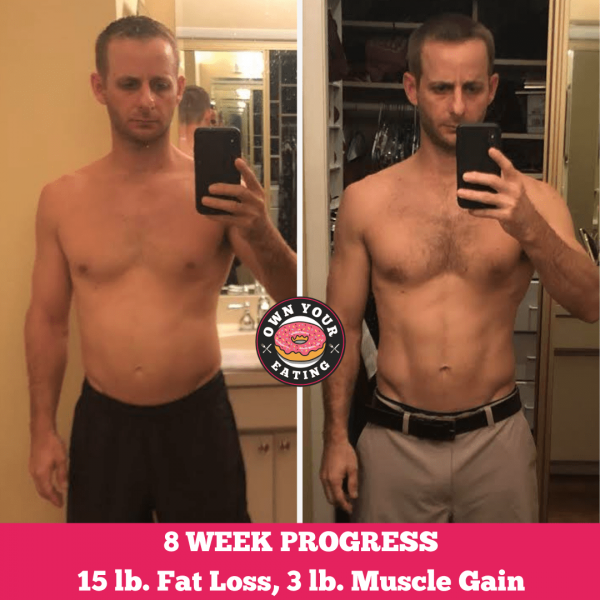 Find out more about his experience with Own Your Eating and how tracking has changed his nutrition habits and given him the results he’s been chasing. 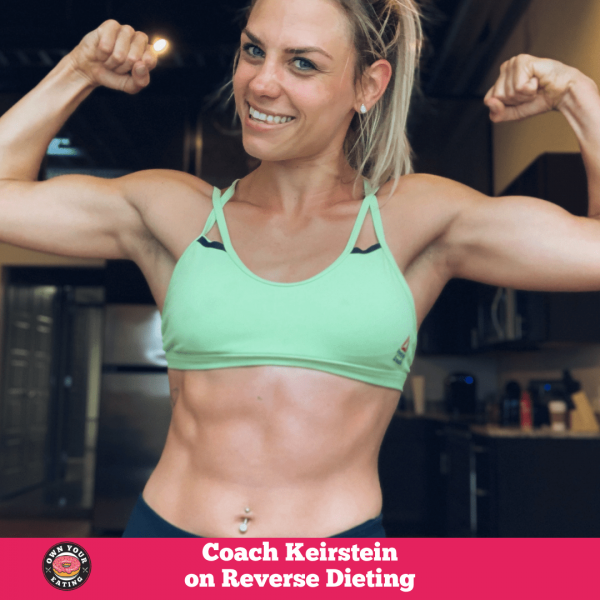 You may recognize Keirstein as one of our coaches! 😀 Keirstein has been working hard focusing on recovery due to a shoulder injury. During this time she’s been scaling workouts, making modifications to her workout volume and of course focusing on her nutrition! You might find it surprising to learn that despite taking a step back on the activity front, Keirstein’s actually been able to increase her macros! Read on to find out about her recent reverse dieting progress. 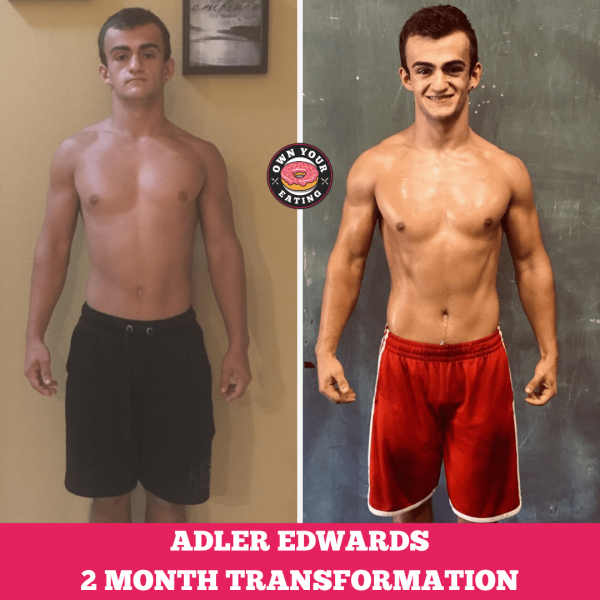 Nothing brings us more joy than someone reaching out to us and saying, “I found your program and it changed my life.” That’s exactly what Zach did and we couldn’t wait to get on the phone with him and discuss his amazing 100lb. transformation. Zach Johnson has turned his life around having lost 125 lbs. in about 15 months. Zach has amazingly been able to achieve a lot of his weight loss on his own. But once the scale plateaued at 60 lbs. 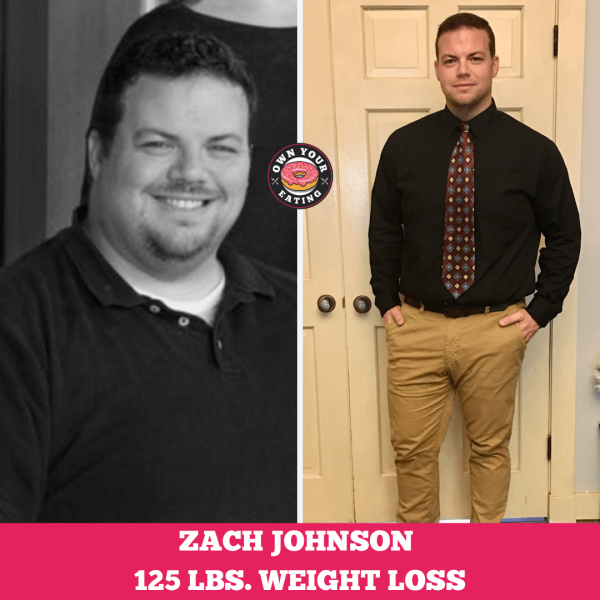 weight loss, Zach went in search of help to find a nutrition lifestyle that was more successful and sustainable. That’s when Zach found Own Your Eating. Read on to find out how Zach’s gone on to lose 65 more pounds in 6 months since joining our Lifestyle program! 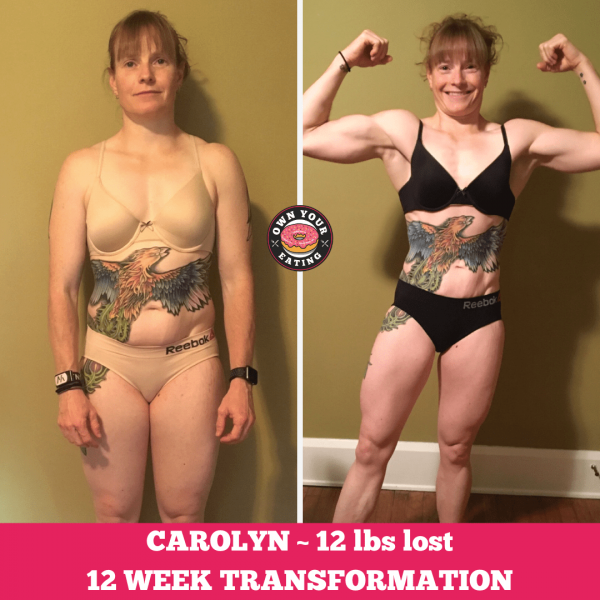 Emotional eating, guilt associated with eating foods like pancakes, tight-fitting clothes and a lack of energy in the gym lead Carolyn to finally try something different. Carolyn already had some knowledge of macros and flexible dieting but adjusting her numbers on her own wasn’t working for her. Not only was it not getting her results but it wasn’t helping her improve her relationship with food either. Now Carolyn enjoys things like birthday cake Oreos guilt-free and doesn’t feel like hiding her body in baggy clothes! Read on to find out how Carolyn has made progress in the last 12 weeks with her coach, Jen Charlesworth. Jess Attree is one of Roz’s closest friends and was one of her beautiful bridesmaids. They met at the University of Bristol back in 2002 through their Wednesday night sports socials. To see Jess now you’d probably say she’s little like Roz but that hasn’t always been the case. 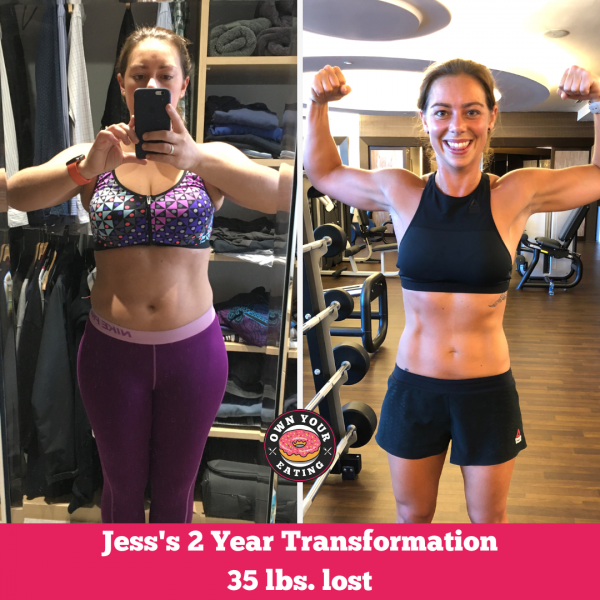 Find out how Jess lost 35 lbs. and found herself in the process. 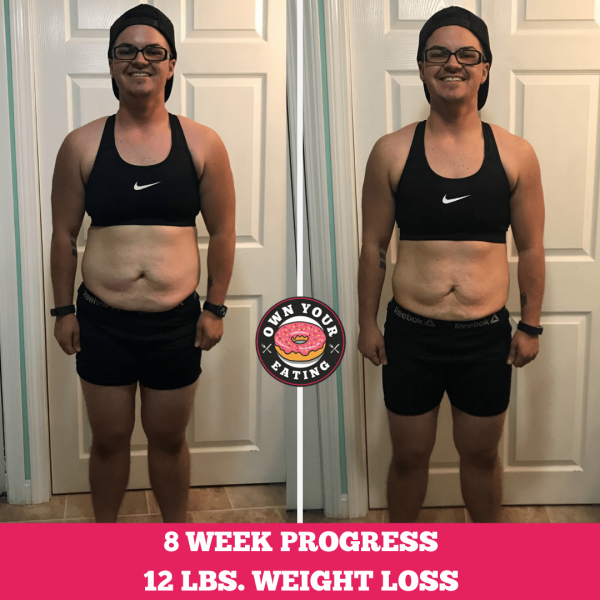 Patty has been working directly with us for the last 2 months after making tremendous progress in her first 90 days of following the Own Your Eating program solo. 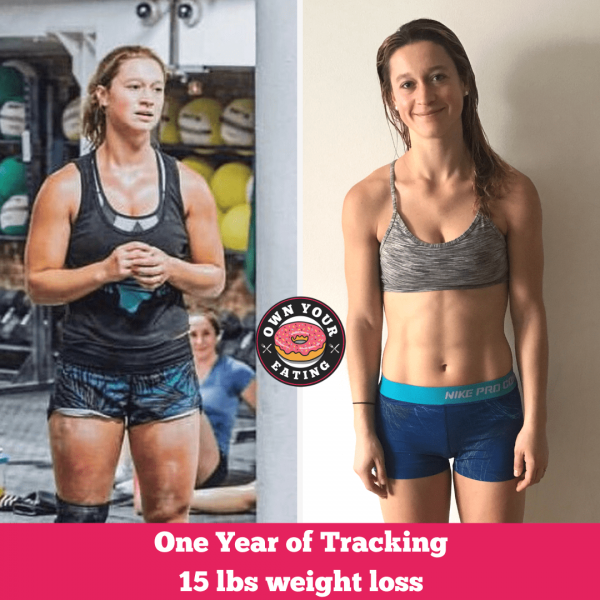 When Patty reached her goal weight and started noticing herself feeling hungrier and having less energy, she decided she needed to take things to the next level and enlist the help of a coach at Own Your Eating. 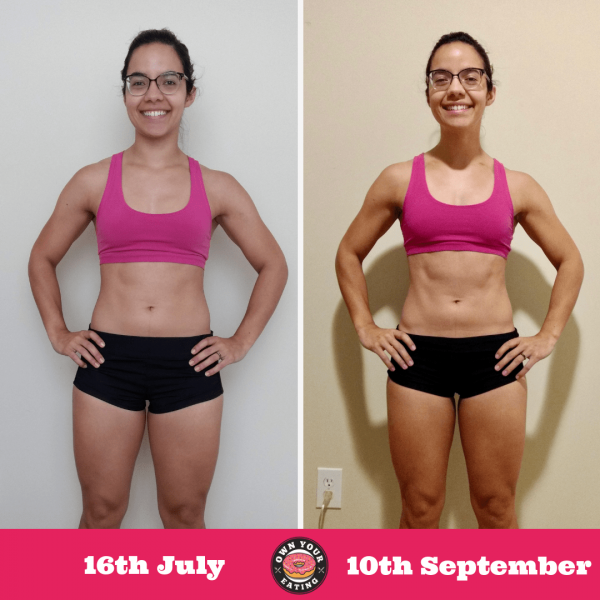 Read on to find out more about this teacher’s experience with reverse dieting and the Lifestyle program in the last 60 days.